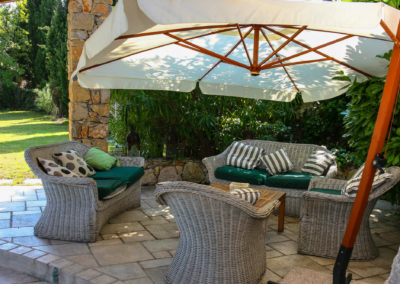 In this welcoming villa with large private pool near Vence, flair and creativity have been employed to create a warm, inviting and stylish property. 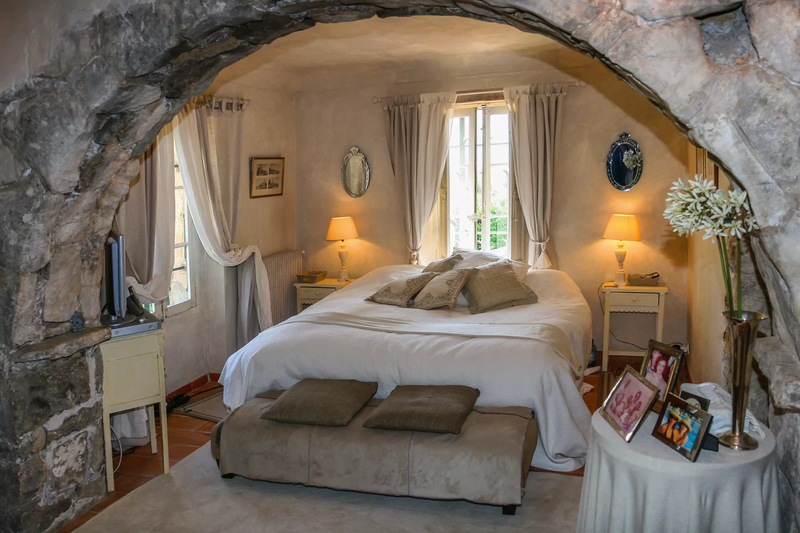 Original stone arches lead to the sumptuous master bedroom, whilst Moroccan living is the inspiration for the cosy and colourful living areas. 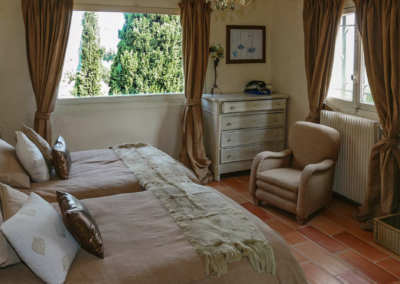 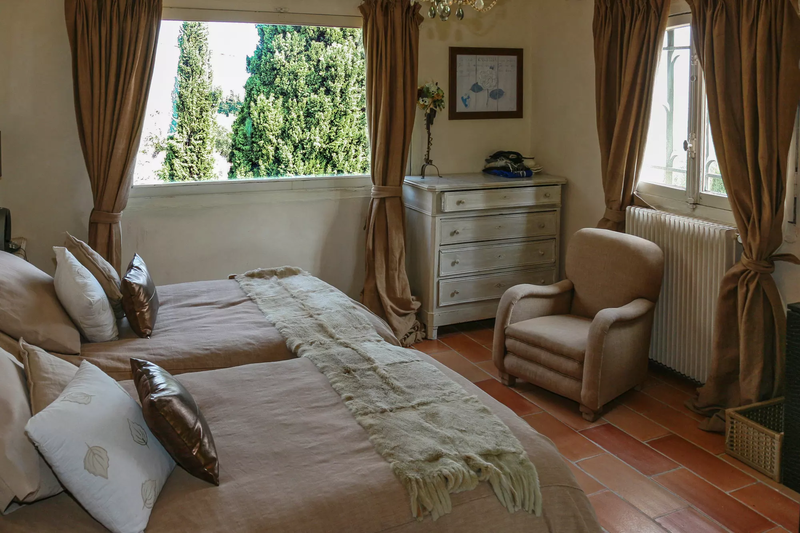 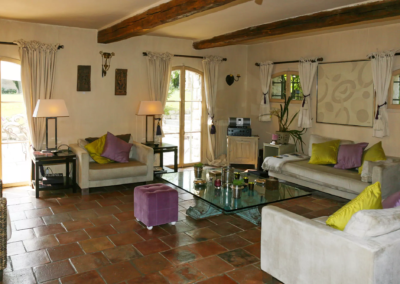 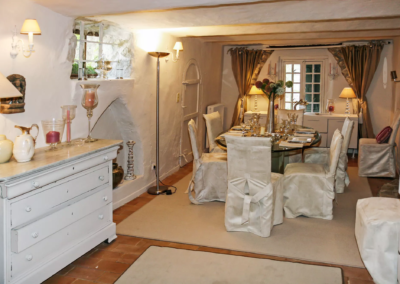 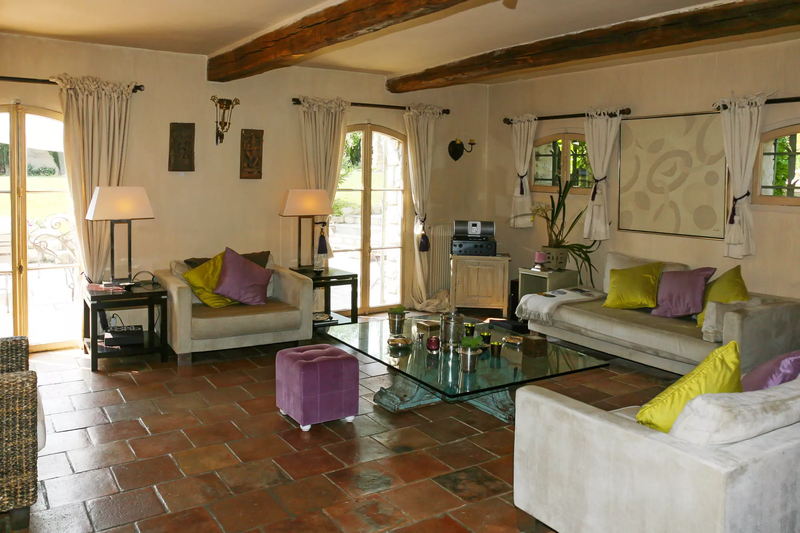 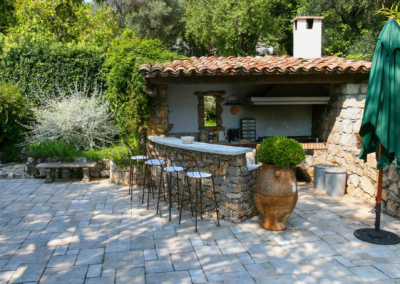 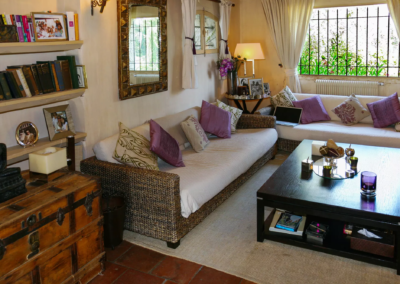 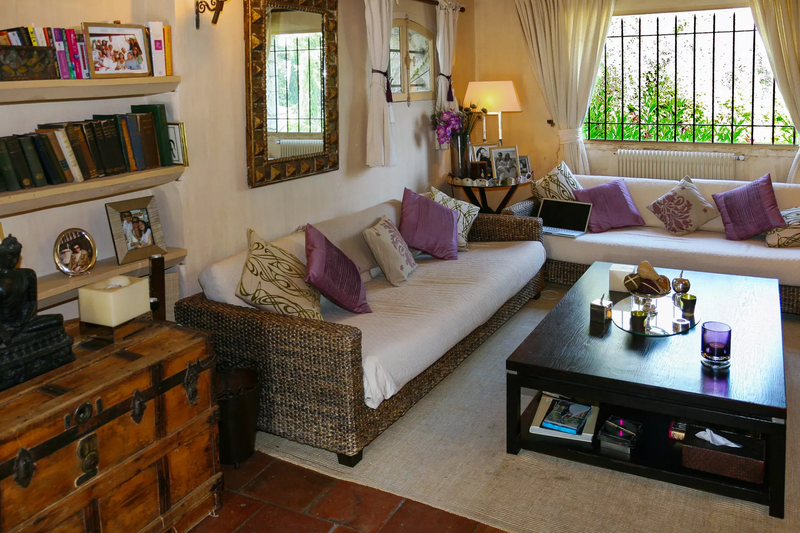 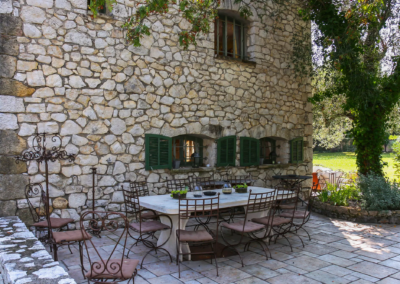 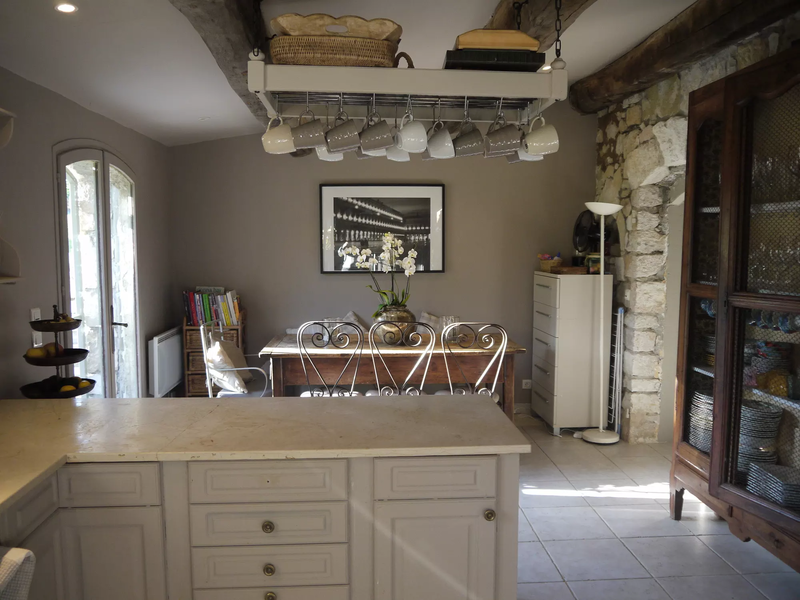 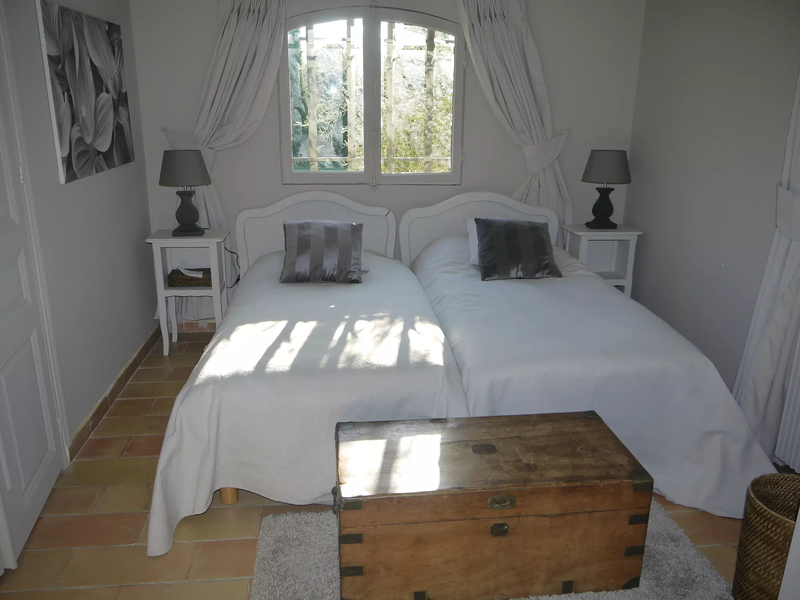 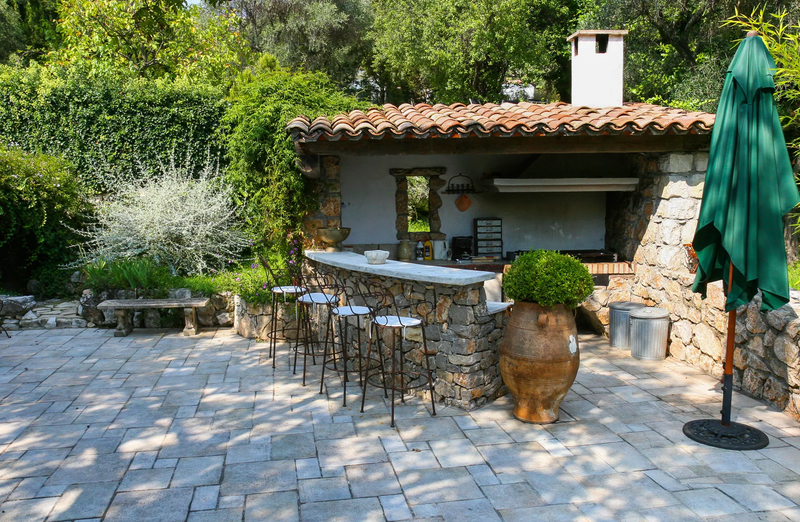 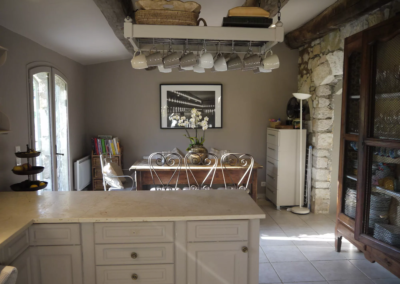 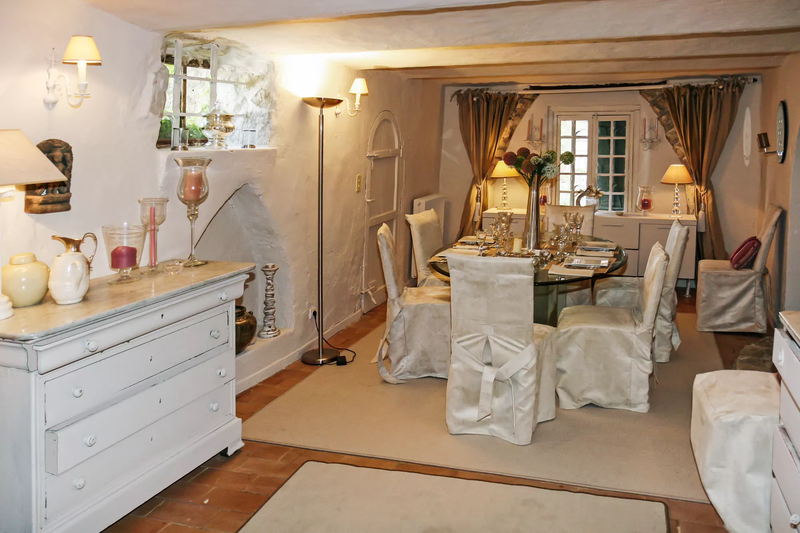 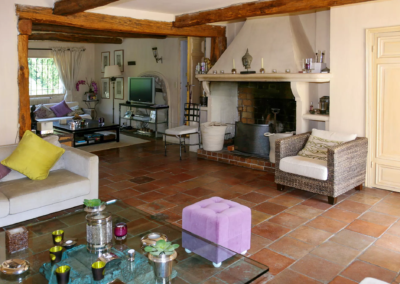 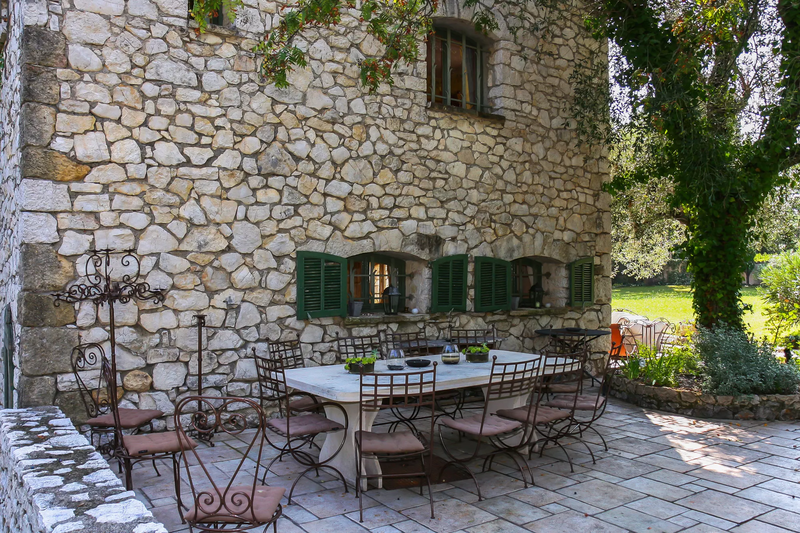 This traditional stone bastide also has a steam room which adds to the opulence. 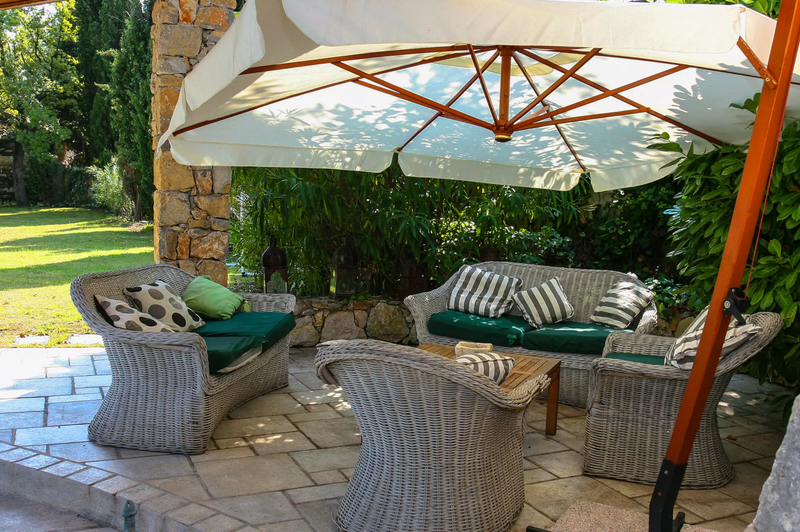 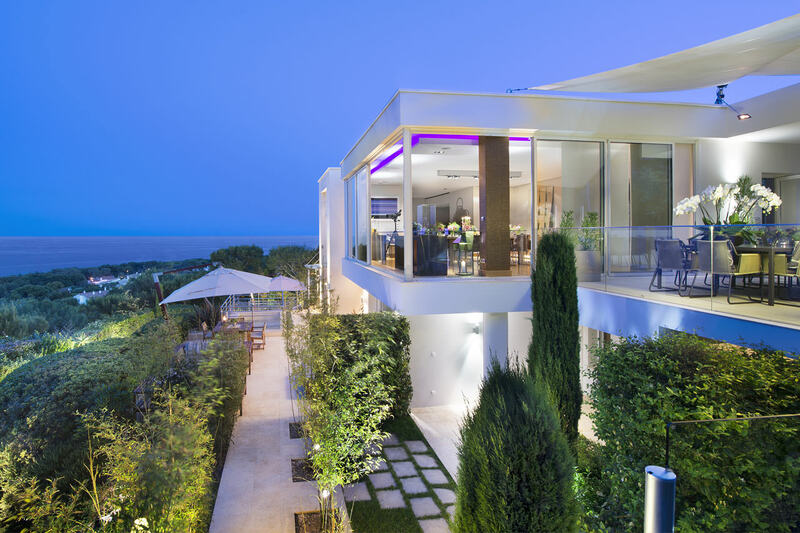 Stepping outdoors, the large flat lawn is ideal for children, and the spacious covered living area by the pool is perfect for summer days on the Cote d’Azur. 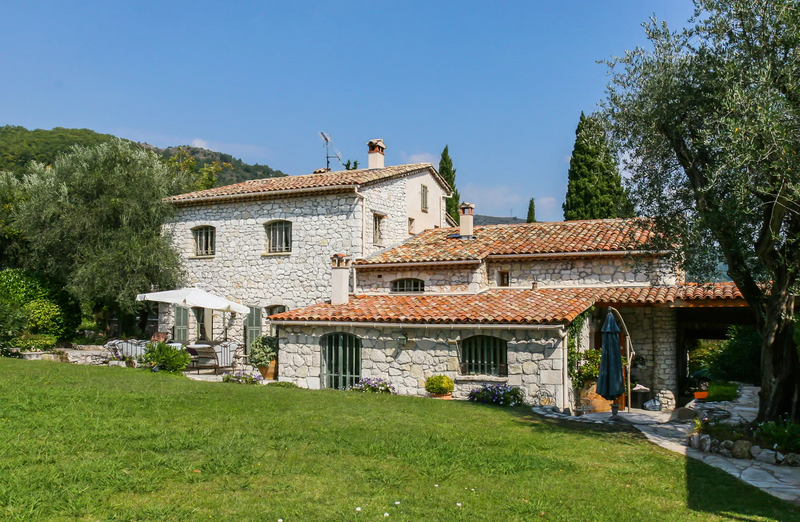 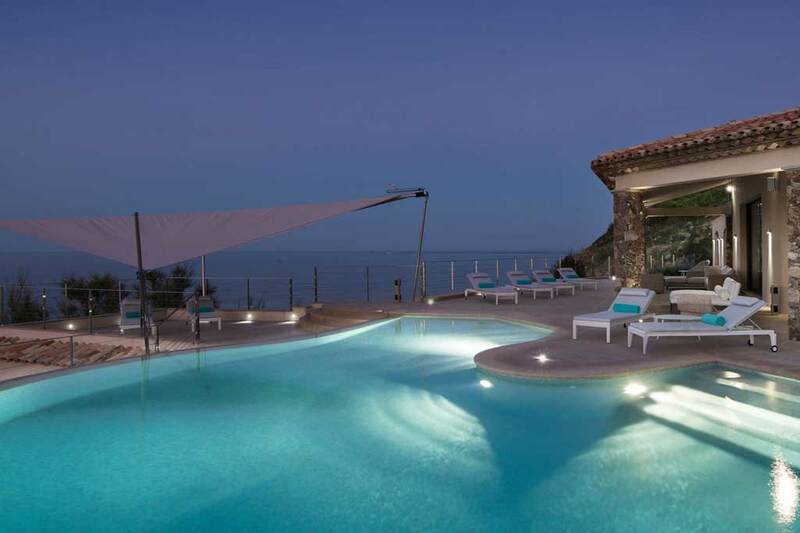 This villa with large private pool is set back from the Riviera coast and is close to a delightful chain of medieval hilltop villages which are steeped in history and fun to explore. 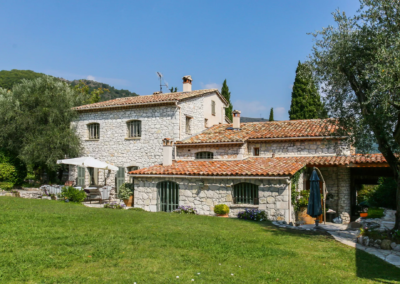 For more active holidays you can choose from a whole range of water sports, as well as hiking and other outdoor pursuits, all of which are within easy reach of this lovely villa near Vence with private pool. 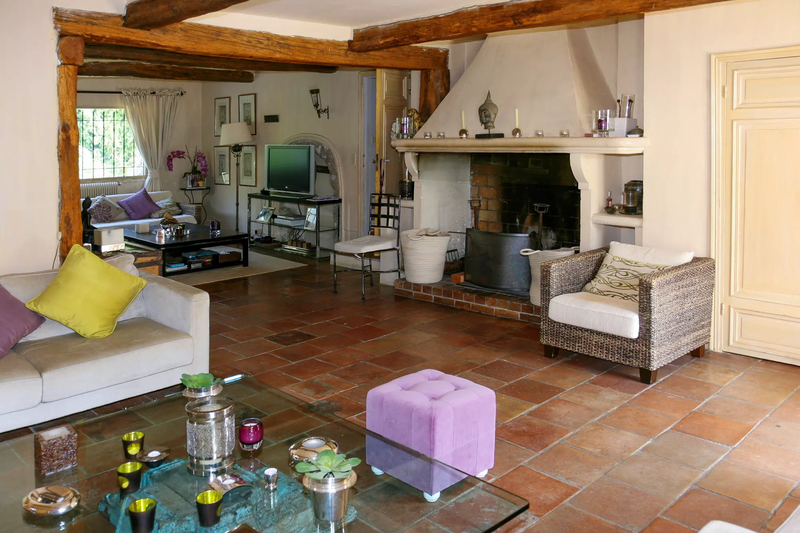 Stunning living room (second TV area), beamed ceiling, large fireplace, mellow floor tiles, small bar area (TV, DVD/CD, stereo), French doors to garden and terrace. 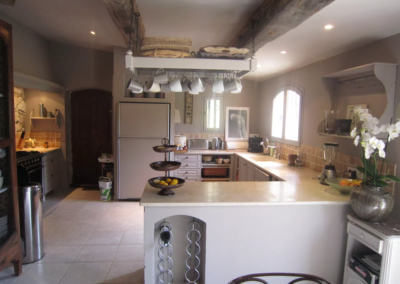 Kitchen with professional cooking range, French doors to terrace and garden. 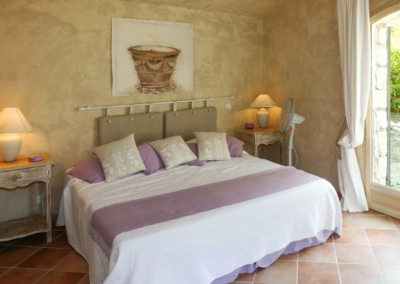 Master bedroom (2m), original arched stone ceiling, ensuite shower room, dressing room. 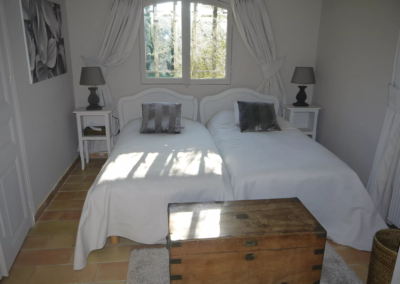 2 Twin/double bedrooms, views, shared ensuite bathroom, WC. 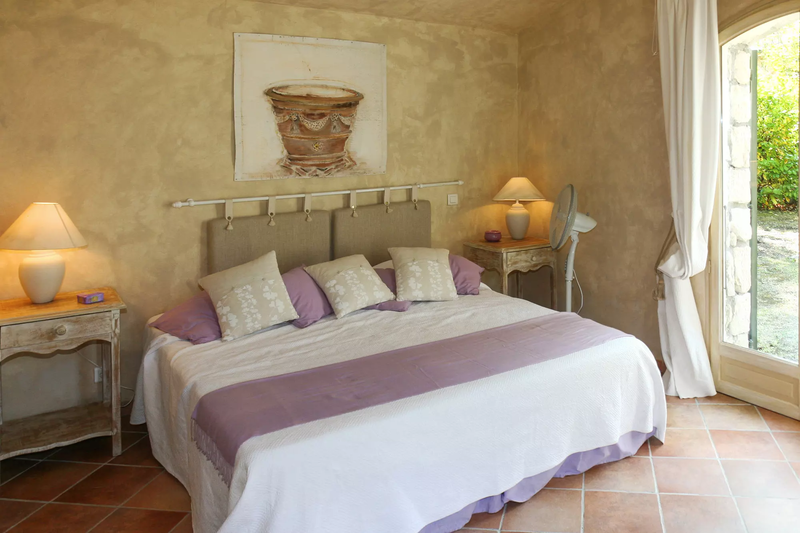 Double/twin bedroom with ensuite bathroom, WC, doors to garden. 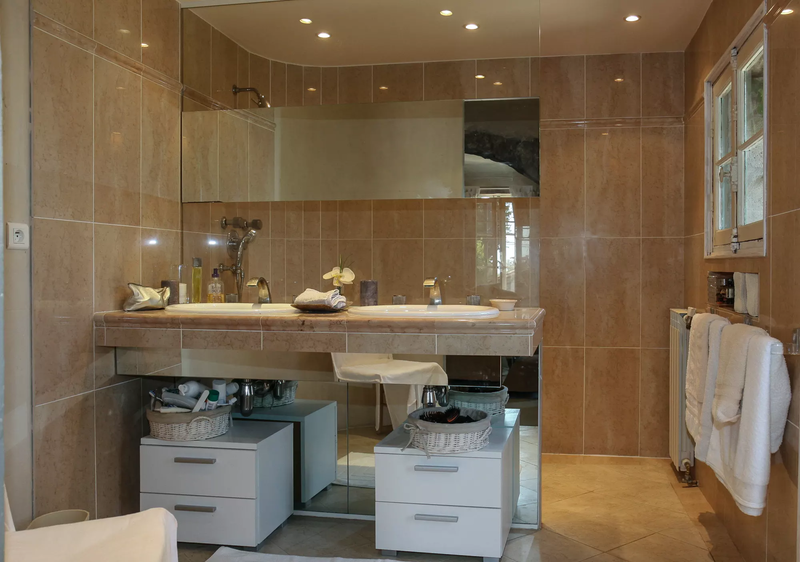 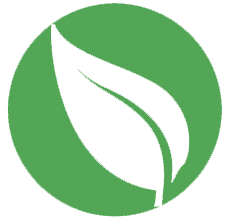 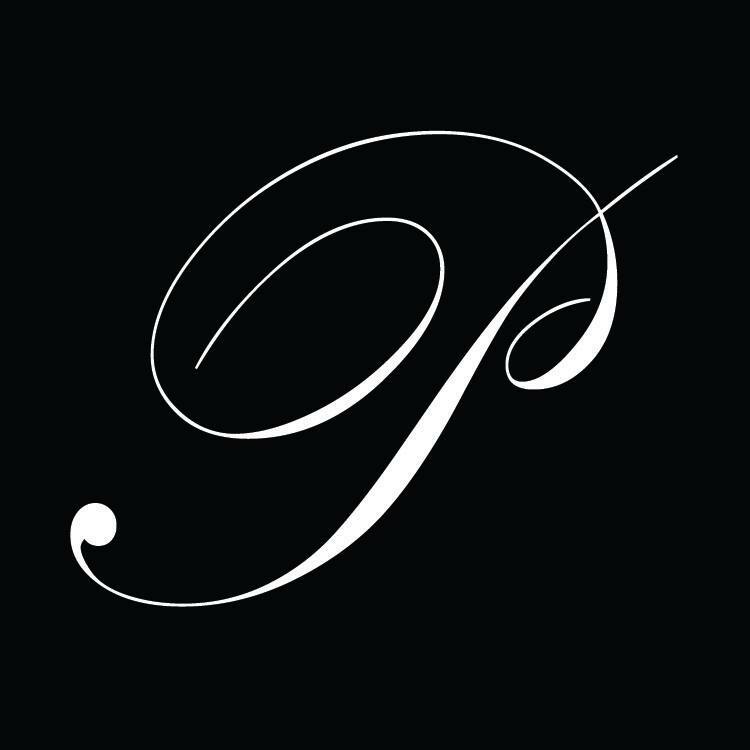 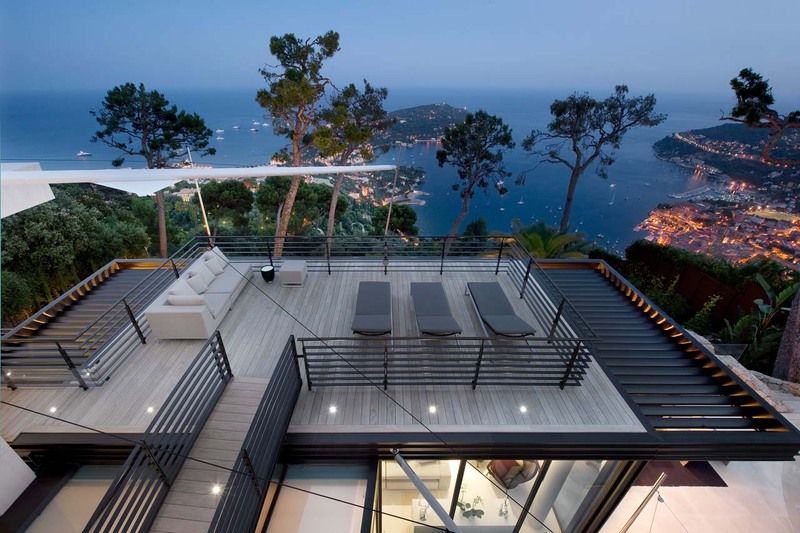 The cozy and classy interior design and the outstanding outdoor facilities.